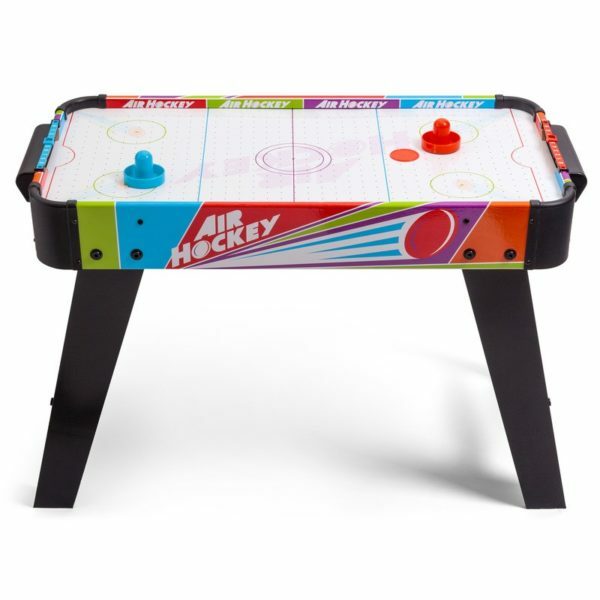 Miniature air hockey table with a puck and two paddles. 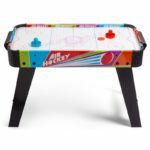 Flick the switch on the underside and the topside of the table generates a cushion of air that allows the puck to glide across its surface. Players each take a paddle in hand and use it to strike the puck in an attempt to send it flying into their opponent’s goal. Each goal area has a score strip along its edge, allowing players to keep track of their scores throughout the game. 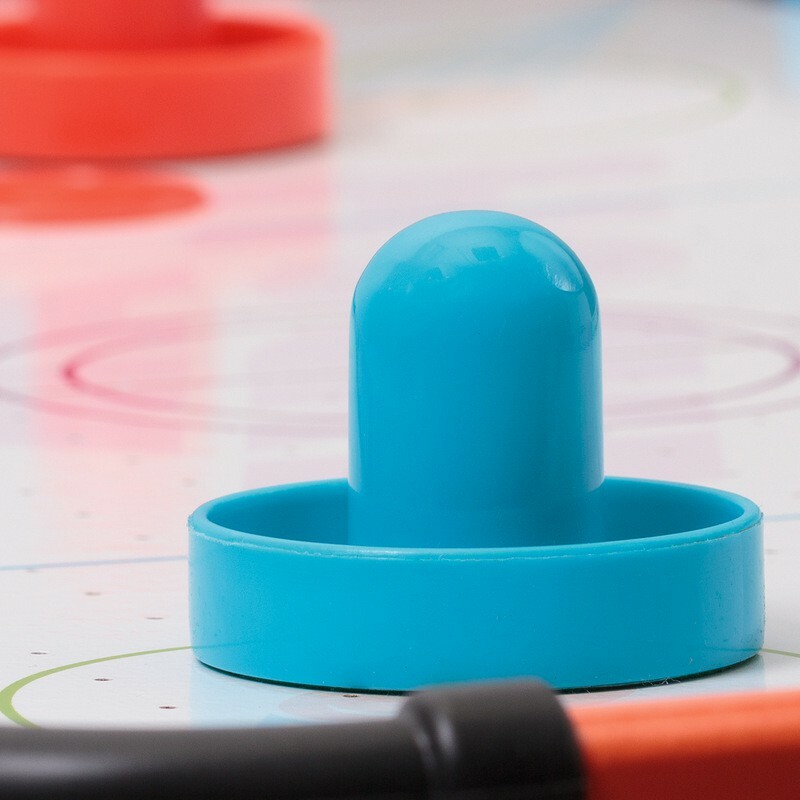 Its compact size makes it ideal for a child’s room or play area.